← The Association accepted an application for membership from EUROSOFTWARE, s.r.o. 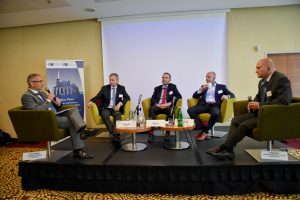 The Technological Initiative Pilsen (TIP), in collaboration with the Czech-German Chamber of Commerce and Industry (CGCCI) and the Regensburg Chamber of Commerce and Industry (IHK) held a moderated discussion with political candidates for the post of Plzeň Region Governor. 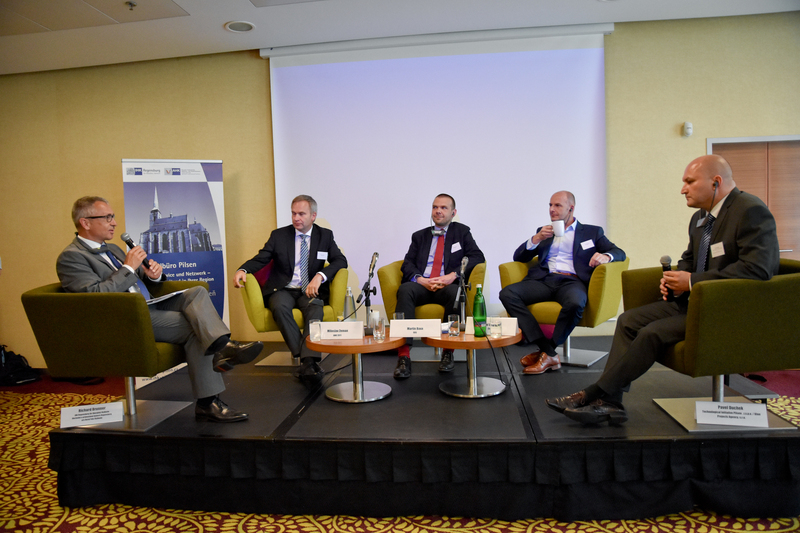 Thirty CEOs of industry, forming the backbone of the Pilsen Region economy, took advantage of the opportunity to present their expectations of regional politics to the governor candidates present – Josef Bernard for the ČSSD, Martin Baxa for the ODS and Miloslav Zeman for ANO. The principal topic of the all-afternoon meeting was the availability of specialist workforce in the fast-developing Pilsen Region. The candidates then endeavoured to offer possible solutions to the issue. Dr. Martin Kořínek, Executive for GRAMMER CZ, s.r.o. and Chair of the Technological Initiative Pilsen, gave a presentation to start the discussion, and explained how important manufacturing is for the Pilsen Region, an industry which is now moving ever more towards new technologies and high-tech. Almost 100 000 people work in industry in the Pilsen Region, almost every third person earning. TIP investigated what qualifications employees of these businesses brought to the companies, and they found that their education and training often did not correspond to the activities they were currently engaged in for the companies. Thus trained hairdressers, pastry-cooks and beauticians were taking on positions as auxiliary staff in manufacturing, due to poor professional prospects or low wages. The problem here is that parents of schoolchildren often have no idea which industries will require new employees in future. The Czech education system – according to the survey undertaken – educates pupils without taking account of the needs of the labour market. “This means thousands of technically-qualified staff are missing in the region,” explained Kořínek. Josef Bernard of the ČSSD would start even earlier. 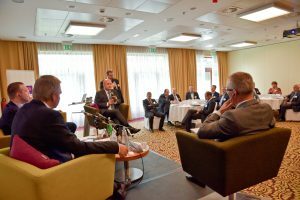 As a politician with experience of management in Škoda Transportation, he advocates getting children interested in technology from an early age. As an example of best practice, he referred a number of times during the discussion to the Techmania Science Center in Pilsen, operated by the Škoda concern. Techmania strives to introduce children to technology and natural sciences in a playful and fun way, thus motivating them towards a greater interest in the field. Bernard, however, considers this is just a long-term solution. He proposes opening our labour market to candidates from Ukraine as a short- and medium-term solution. Ukrainian workers have a high quality level of education and are close to Czechs both culturally and linguistically. Miloslav Zeman of ANO advocates support for young families to achieve a higher birth-rate in particular, with families with more than one child being desirable. In addition, he would welcome quotas at schools, which would specialise in accordance with the labour needs of different branches of industry. Furthermore, the Czech education system should open up to its neighbours, give space to schools with foreign-language teaching, and increase the attraction of domestic universities for foreign students.